Tired of waking up to itchy, scratchy red marks all over? Tired of finding little creepy crawlers staking their claim over the bed? Bed bugs are to blame. Cimicidae or more commonly known as bed bugs are parasitic insects that feed exclusively on the blood of warm-blooded animals or in this case, humans. 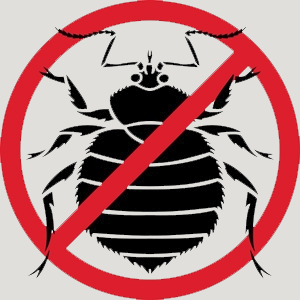 Infestations are common and worldwide, as bed bugs can be transmitted to furniture, clothing or guests. Working in other people’s homes that are infested with bed bugs can enable a person to transfer the bugs to their own homes. Even the cleanest of homes and the best of hotels are not spared from this “alien” invasion. Therefore, one’s option to put a stop to it is a simple equation: bed bugs and steam. For years, bed bugs and steam are a lethal combination because one, bed bugs cannot withstand extreme temperatures. Temperatures of over 45 degrees Celsius will instantly kill full sized bed bugs and its eggs better than any insecticides as most of these are non-ovicidal. This is actually preferred by most as this will be used on their beds and mattresses. A meticulous and methodical treatment process is important so as to properly eradicate bed bug infestations. While there are many types of steam machines available for such a purpose, not all are appropriate, as the machine must be able to produce steam of low vapour flow to avoid just blowing the bed bugs about and to reduce wetting, in addition to high temperature. 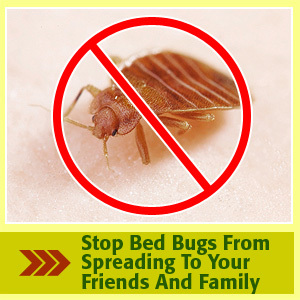 • Get rid of all the trash and clutter surrounding the bed as this will give the bed bugs fewer or no place to hide once the steaming onslaught begins. • Place all bed sheets, blankets and pillow cases in plastic wrapping for protection and also to avoid re-infestation. • Run the vacuum over the bedroom carpets, furniture, mattress and box springs to remove dust and debris. • The next step is to fill the steam cleaner’s receptacle with the directed amount of water and cleaning solution as per manufacturer’s instructions then slowly go over surfaces to sanitize the areas and kill the bed bugs. • One has to start from the top of the room, cleaning the curtains and drapes, then work their way downwards to the bed and other furniture, making sure that the nozzle is moved along at a rate of 30 cm every 10-15 seconds. • Allow the surfaces to dry thoroughly before wrapping the bed, mattress and the rest of the furniture in tear-proof plastic which must be left on for two weeks to ensure that any organism has had time to die. • Examine the area every now and then for any bug feces or skins and if any are found, repeat the steaming process. While getting rid of bed bugs may seem to be a daunting process, remember that bed bugs can cause health problems like skin rashes which if not treated properly may lead to serious complications. So next time bed bugs invade your home and bed, get out that mean steam and let Operation Bed Bugs And Steam rip!